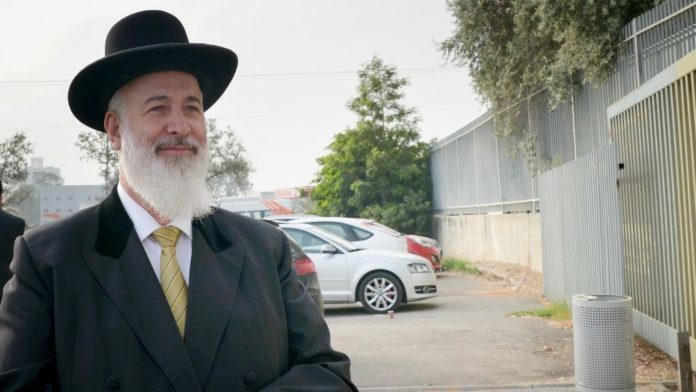 Former Chief Rabbi Yona Metzger has complained of becoming a victim of extortion in prison, News13 reported. According to the report, Metzger informed Israel Prison Service personnel that he and his family were threated by other inmates. The Israel Police has opened an investigation. The probe is also looking reports that criminal elements even planned to blackmail former ADB Chairman Nochi Dankner, who is also serving a prison term for his white-collar offenses. who does he expect to find in prison, other tzaddikim? he was very grateful to those who advocated for advanced his chances to become CR; now, now, not so much. lie with dogs, come up with fleas. the guy is a bum and deserves never to be called by the title ‘rabbi’…. let him enjoy the peace and solitude in jail and come out a decent person….